This sweet little box set contains stationery for everyday life – whether you want to say thank you, congratulate someone, let someone know you’re thinking of them, or just say hi…just because you feel like it. 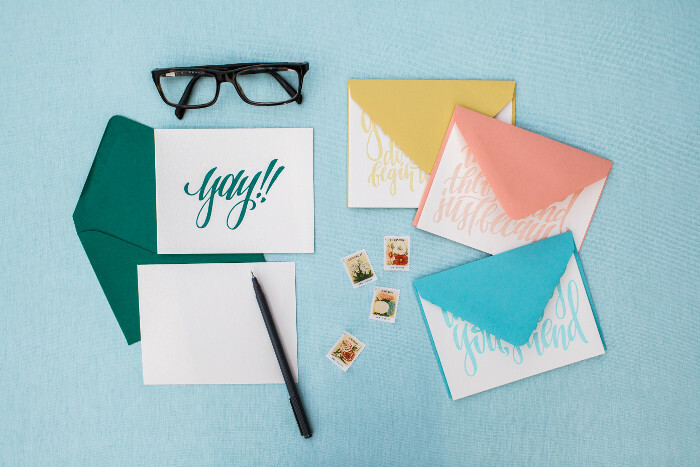 This hand-lettered artwork is letterpressed onto thick cotton savoy paper and paired with a delightful collection of colorful envelopes. Mix and match as you wish! 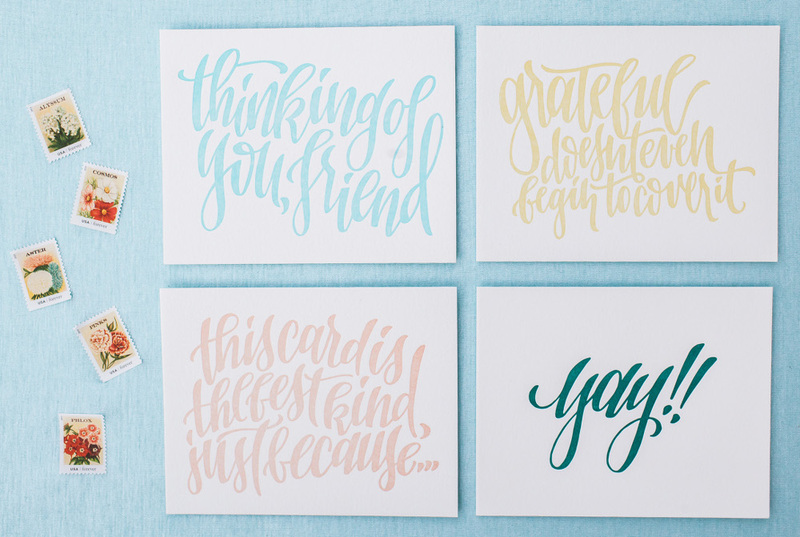 Creative Tip: This set makes a wonderful gift for just about any occasion!